Whether you want soft music wafting through cocktail hour or angelic tones performed for your walk down the aisle, Dan will tailor his performance to fit your needs perfectly. With a wide repertoire of originals and covers to match any upscale occasion, guests will be soothed and enthralled by the unique display of a single cellist playing what would usually be heard by a string quartet! “My husband and I were lucky enough to have Dan play at our wedding for the welcome music as guests entered the grounds of our venue. I knew that his music would set the tone of our big day with our vintage romantic theme. 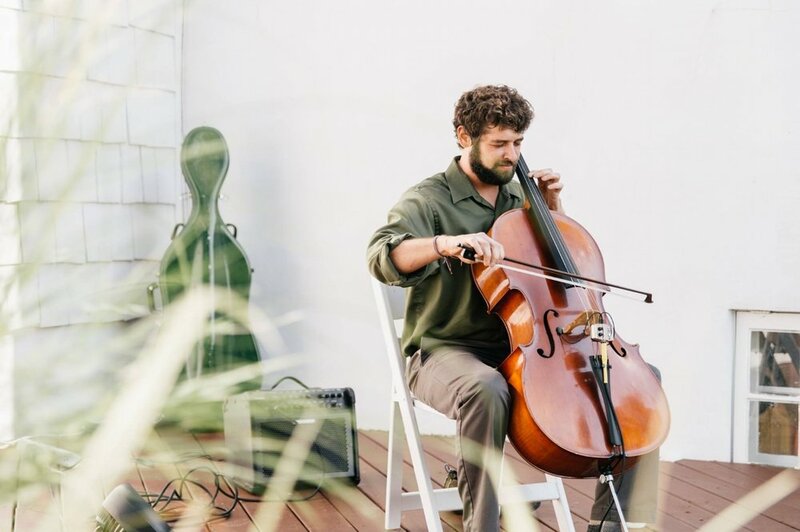 Dan went above and beyond my already high expectations and transformed the outdoor space with an air of inviting magic and raw talent with his creative cello looping. He kept it professional, unique, and really just added another beautiful element towards our special day.” Alissa L.